Submitting credit card numbers and other sensitive information online shouldn't be cause for cold sweats and sleepless nights. Despite the efforts of identity thieves and other Internet criminals, shopping online is still safe, as long as you stay informed about the tools and tricks Internet crooks use to scam the unaware. Shopping online using credit cards has become so mainstream that it's hard to remember a time when Internet shopping didn't exist. Shopping online makes perfect sense: it's efficient and convenient, and it makes comparison shopping much easier. Though most online retailers utilize sophisticated systems to keep their servers safe from hackers and other Internet fraudsters, there are still a numbers of best practices consumers should heed to ensure that each and every online shopping experience is as safe as possible. 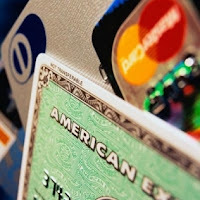 If your credit card company offers virtual credit card account numbers, then use them. A virtual credit card number is a temporary, randomly-generated number that's attached to your credit card account. You can use virtual numbers to pay for goods or services online, instead of your real credit card account number. If you generate a virtual account number for use on a particular website, the virtual number will be valid for that website and only that website. If you want to buy 3 items at 3 unique sites, you would generate 3 unique virtual numbers. Having read the above, you might be thinking that it would be a hassle to generate a virtual number every time you arrive at the checkout page of an online retailer. But considering the peace of mind that using virtual numbers affords you, it's worth it. Credit card companies don't charge a fee for generating virtual numbers, and the process of generating a number is quick and painless. When shopping online, never submit your social security number, your mother's maiden name or any other secret question/secret answer-related information that credit card companies use to verify your identity. A legitimate online retailer will never ask you for your social security number, your mother's maiden name, the name of your first grade teacher or the name of your favorite pet. Purchase an anti-virus software package if you don't have one already, and consider installing an anti-spyware package as well. If you have anti-virus software running on your computer, get into the habit of downloading the latest virus definition files at least 3 times per week, and run a full scan of all your hard drives at least once every week. Computer viruses, trojan horses, worms and other types of malware can cause all kinds of headaches, but when it comes to serious security threats, it doesn't get much worse than a keystroke logger (also known as a keylogger.) If your PC isn't protected by anti-virus software, you computer could get infected with a particular type of trojan horse called a malicious keylogger, a program that will record all your keystrokes, save them to a file and send the information to a criminal. If you get infected with a malicious keylogger, a huge chunk of your sensitive information, like credit card numbers, your social security number, the usernames and passwords you use around the Internet, etc. could end up in the hands of the crook who orchestrated the attack. Your private information could then be used to steal you identity, or worse. Never initiate any online shopping by responding to a spam email message. Bottom line: legitimate online retailers don't send out unsolicited mail. Besides, if you respond to a spam email message, you are supporting the spammers, and you don't want to do that! If you want to purchase an item from a website, but you're not 100% confident about the site's trustworthiness, then search Yahoo!, BING and Google to see if you can find any reports of security issues, bad conduct or poor customer support. Should you be nervous about submitting your credit card information over the Internet? No, you shouldn't. Just remember to use common sense and observe best practices before whipping out that credit card.